Entwistle Green are pleased to welcome to the sales market this excellent investment opportunity. 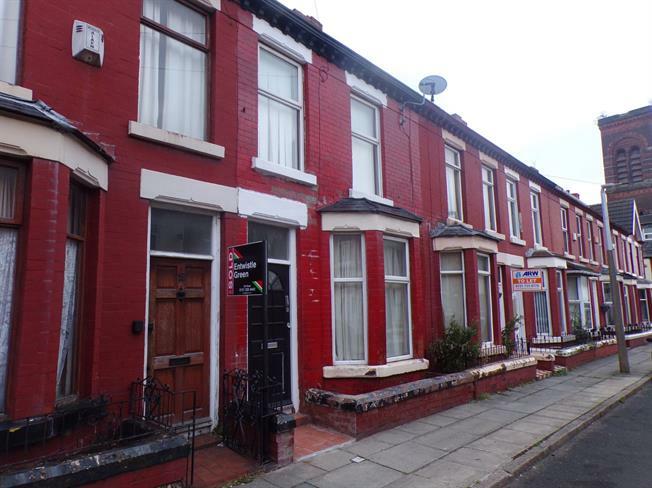 The property is in need of work and will appeal solely to landlords and investors alike. In brief, the accommodation comprises of, an entrance hall, lounge, living room, kitchen, three bedrooms, a shower/bathroom and a yarded area to the rear of the property. Please call 0151 220 4443 for more information. Single glazed wood bay window. Carpeted flooring. Single glazed wood window. Carpeted flooring. Single glazed wood window. Flagged flooring. Double aspect single glazed wood windows. Carpeted flooring. Single glazed wood window. Standard WC, single enclosure shower.